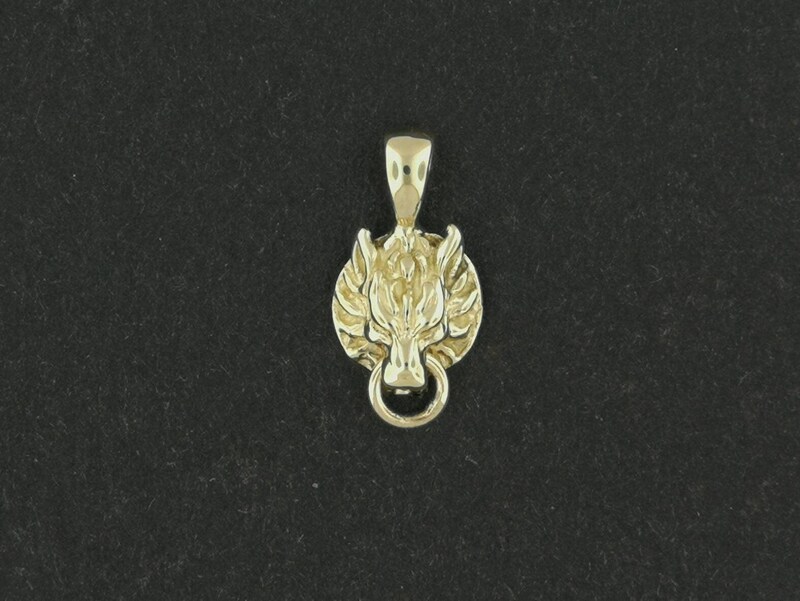 This a handmade gold wolf charm pendant based on the Fenris wolf brooch Cloud Strife wears from the movie Final Fantasy 7; Advent Children. I've had some requests for a smaller FFVII pendant, and so voila! I transformed one of the earrings into a pendant! 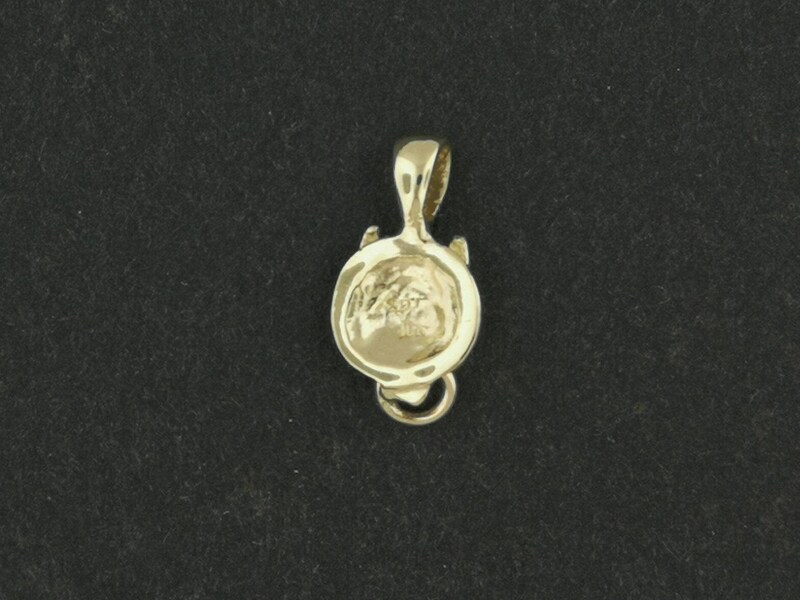 Made in solid gold of your choice, it is 2cm long and 1cm wide, it is perfect for any fan wanting something a little less pronounced. The bail is attached on top on the wolf head and the opening is 3.5mm wide. Shipping is with tracking and insurance and will take 1-2 weeks to make. The pendant in the photos is the sterling siver one as I haven't made one in gold as of yet, but will update photos as orders come in. I do have other items in gold in my shop if you want a reference for color. All gold jewellery is custom made for you, so I cannot accept returns or exchanges for them.